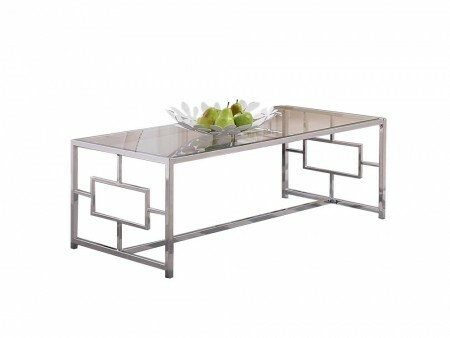 Rent the Galleria Coffee Table from Inhabitr. 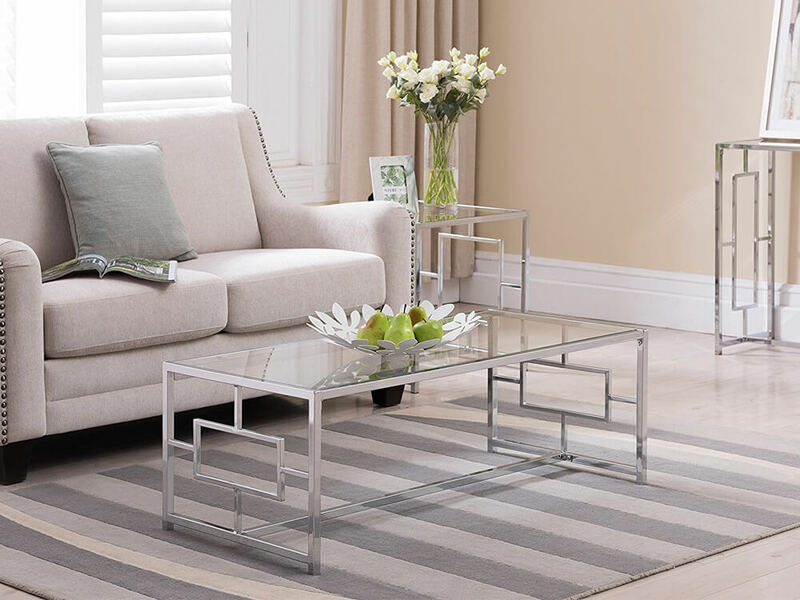 This beautiful chrome finished and tempered glass coffee table is the ideal centerpiece for any modern living room. Its art deco inspired style will embellish any living room setting. Browse Inhabitr’s living room collection to find the matching sofa and area rug.